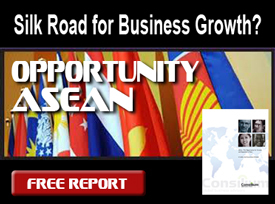 Southeast Asia (ASEAN) is increasing in importance every day. Geopolitical imperatives are being played out not with arms but with trading opportunities. Astute companies have the unusual opportunity of piggybacking an element of their corporate strategy on a rapidly evolving government focus and international strategic initiative. And the US Government is intent on helping companies succeed!